Chicago, IL – Today, Governor Rauner proposed he and legislators come together to agree on a “responsible, compassionate budget”. We agree. The human toll and taxpayer cost of waiting for a state budget is simply too great a burden to place on our most vulnerable citizens. Political maneuvering has resulted in almost a year without general revenue funds that cover the cost of many critical services for mental health, including psychiatry and employment services. It is time for the Governor and the General Assembly to agree on a path forward. Our already frail human services system cannot withstand the closure of more high-quality programs like those recently lost at Lutheran Social Services of Illinois due to nonpayment for contracts and missing general revenue funds. And our state cannot withstand the loss of thousands of jobs due to a budget impasse. The extraordinary human cost of failing to pass a budget is too great. But failing to fund mental health services also does not make fiscal sense – when persons with mental illnesses do not receive community treatment, they end up in institutions at a high taxpayer cost while their symptoms worsen. A full year of Thresholds’ highest level of community care plus an affordable housing voucher costs taxpayers $19,443. In contrast, a year in jail for a person with mental illness costs taxpayers $60,350 and a nursing home $31,400. The fiscal consequences are enormous. Our elected officials can prevent this tragic and costly trajectory by working together to pass a fully funded budget that puts the health and welfare of many of our state’s most vulnerable residents before politics. We urge the advocates, providers, consumers, and supporters of mental health services to contact your legislators in Springfield. Tell them we need a revenue solution. Tell them why mental health services, Medicaid, supportive housing, and human services are important to you and the people you serve. Please sign up for Thresholds’ advocacy alerts and add your voice to our call for a budget that protects mental health. 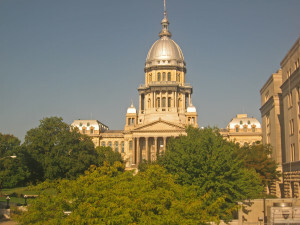 This entry was posted in News and tagged budget, governor rauner, human services, illinois budget, illinois general assembly, mental health, Social Services, twill. Bookmark the permalink.